First Tiledek, now Duradek. We have this house covered! As mentioned in the original article the upper deck had so much water leaking through the deck that icicles were actually hanging down from the canned lighting all the way to the lower deck. The home owner was true to her word and called back saying it was time to get the upper deck fixed before winter. She had explored several other options and companies that do decks but what drove her decision was one simple issue. 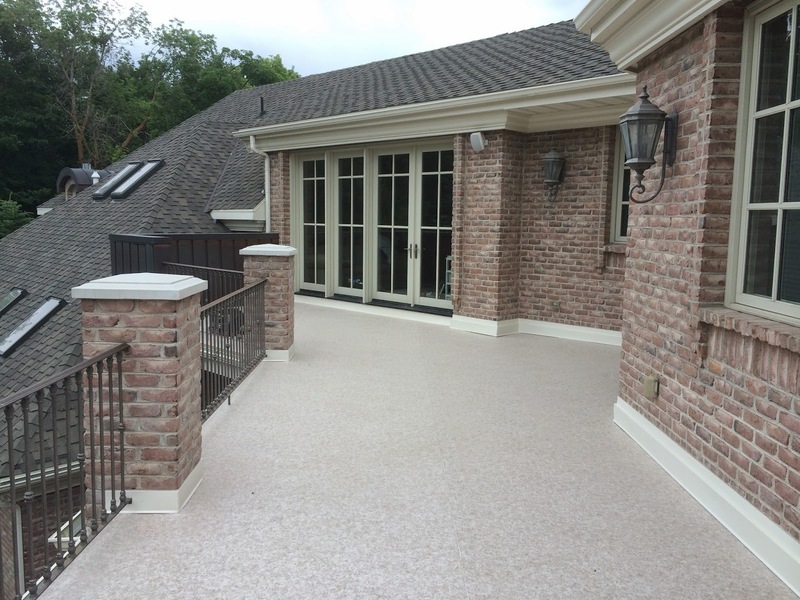 We are water proofers, without the ongoing costs and maintenance requirements. For the upper deck she was not interested in doing tile again, just a nice looking finish that would stop her water damages once and for all. Here are the pictures throughout the work. 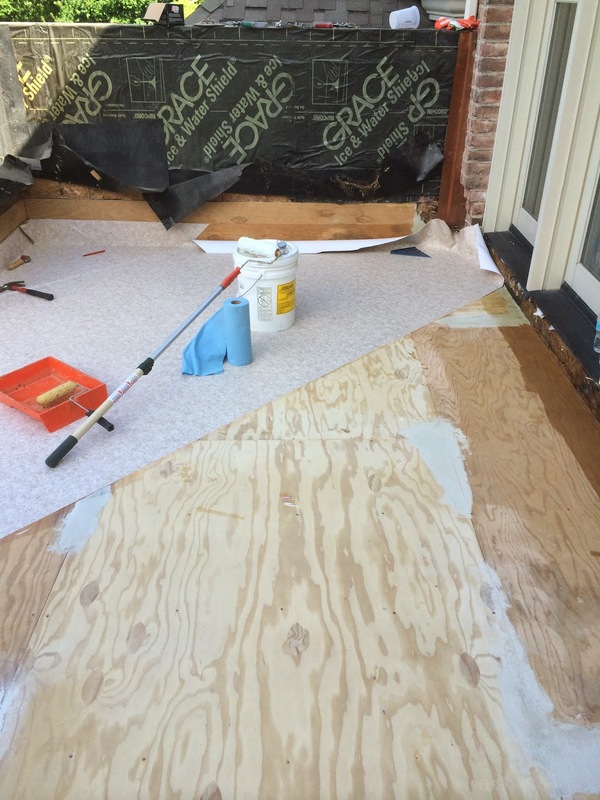 Since this had been a tiled deck that failed you can imagine the amount of water damage to the substrate. It was removed completely and re-sheeted with plywood. Including the damaged area at the up wall intersection. The surface was prepped and the drip edge recessed. Installation begins. Notice the membrane is the flashing up the walls and the entire perimeter. This again is a strength of Duradek membrane, all the details will “move” (expand or contract) at the same rate. Other products commonly use metal for the flashing and details and the different products means a higher risk of cracking etc as a result of movement on the surface. Notice the brick column. 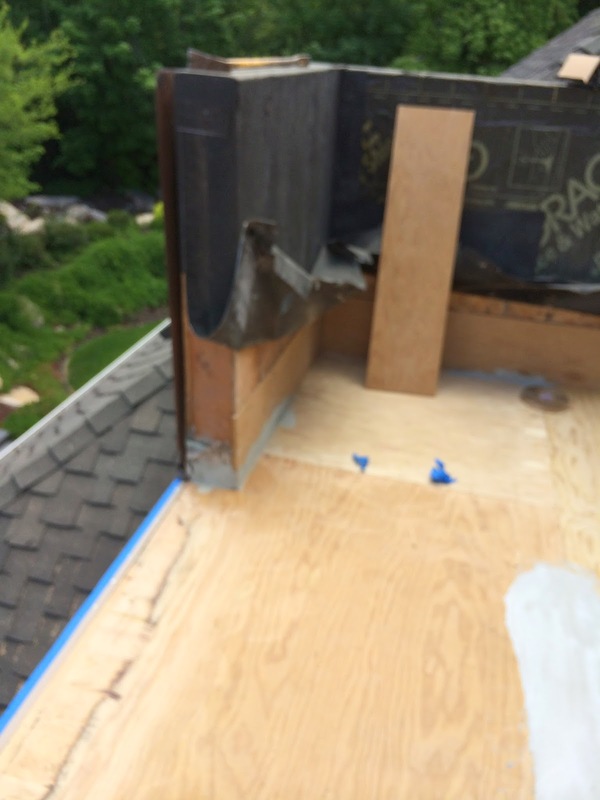 Duradek is again used as the flashing thus protecting the drainage plain. As you can see below after being properly flashed a cladding is used to make it match the rest of the exterior. The home owner has exactly what she needed. 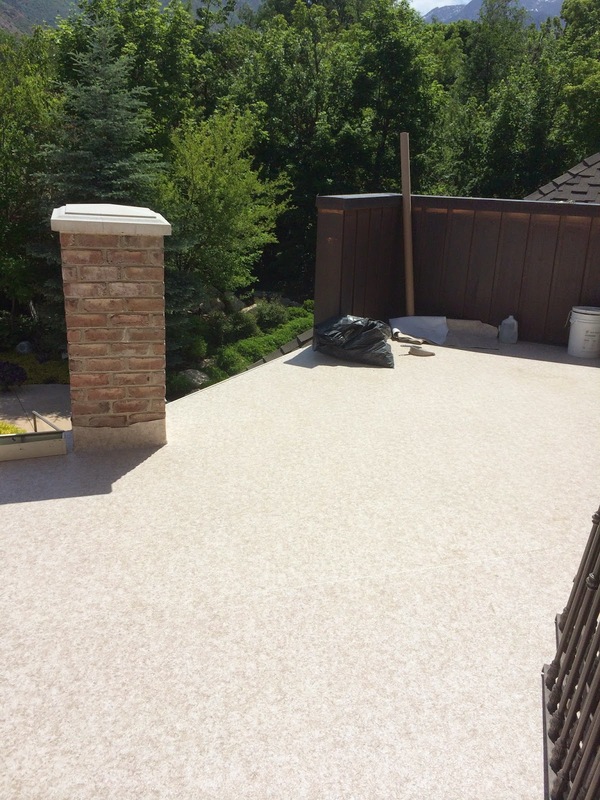 A lower deck that is still tiled and waterproof while this deck is no longer tiled it is water proof and allows them to use rock salt or ice melt in the winter if needed.